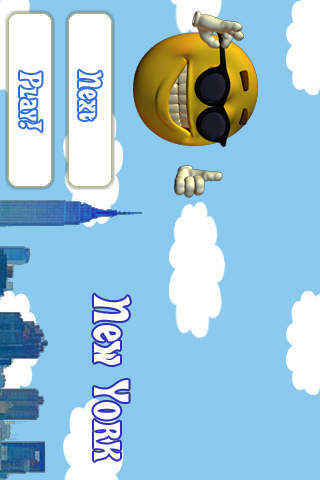 Bob the Pancake travels the world in this exciting arcade game, bouncing from city to city - traveling has never been this exciting or this much fun! 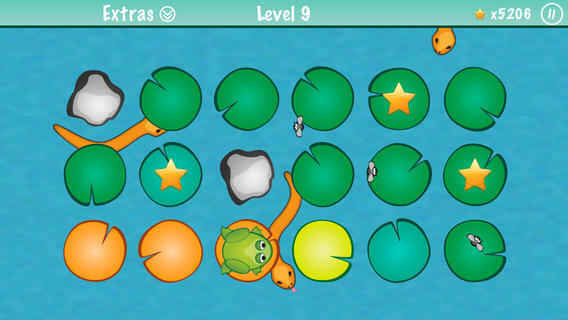 Collect jewels but also solve puzzles on the move! Mind the gaps, avoid the enemies and reach the fabled Treasure Room! ★ 9 levels of excitement and puzzling adventure! ★ Fun-astic experience young and old alike! ★ Top down platforming for fans of skill based platform games like Mario and Sonic! ★ Tilt plus analog joystick controls, left and right handed. ★ Quick pickup and quick loading! If Tilt control is selected then hold the device in a neutral position during loading. Select Pause to reset the neutral tilt position of the device. Tile control is highly recommended as it allows precise movement, which is absolutely necessary on the later levels. 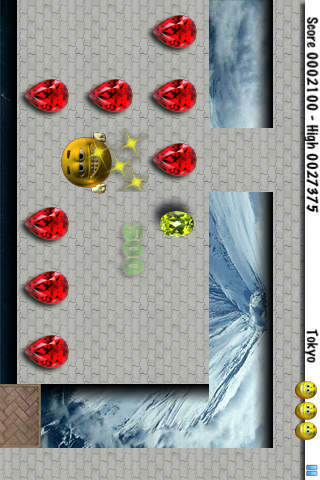 Collect Jewels and jump on previous metals for points. Red rubies score the highest but try to solve the puzzles for the largest amount of points. Multipliers last only 10 jumps so use them wisely! You have only 10 seconds inside the treasure room before the level ends. Activate switches to clear blocks!